If you’re looking for new walk behind sweeping or scrubbing equipment, you’ve come to the right place. We offer the best product lines in the market. Our equipment managers know their products and can help you analyze your needs to find the perfect piece of equipment for your budget. Contact us today to set up an equipment demo or to speak to a member of our team about any cleaning equipment. The Advance Adfinity comes in two models: the X20D and the X20C. 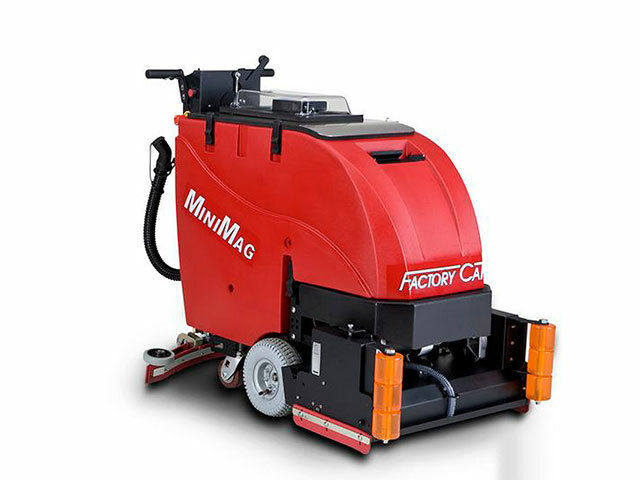 This mid-size scrubber has multiple features some include: simple maneuverability, a control panel that’s easy to learn and operate, and interchangeable scrub decks to cover different cleaning conditions. 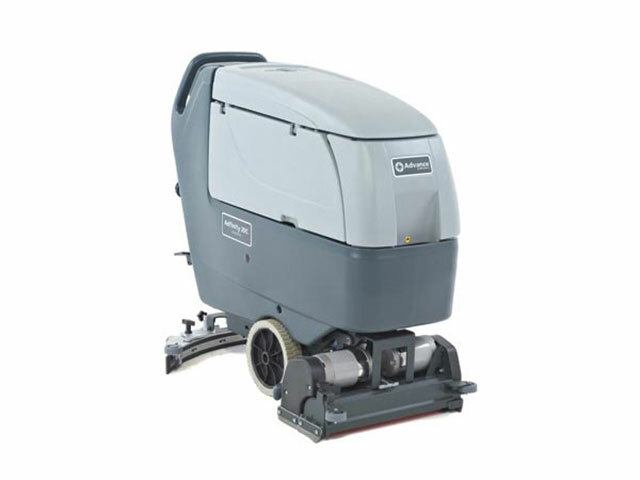 The Advance SC750/800 is a low-maintenance walk behind scrubber that’s easy to operate and ideal for cleaning in small, tight spaces. 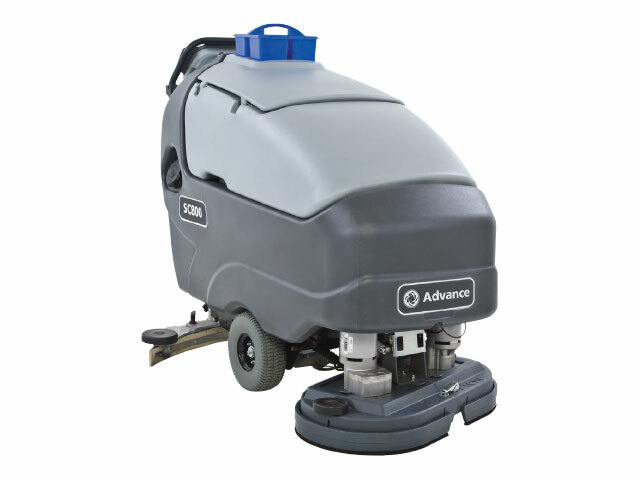 The Advance Terra 28B is a walk-behind sweeper that’s equally effective on carpet as it is hard surfaces. Easy to operate and maneuver – even in tight spaces. 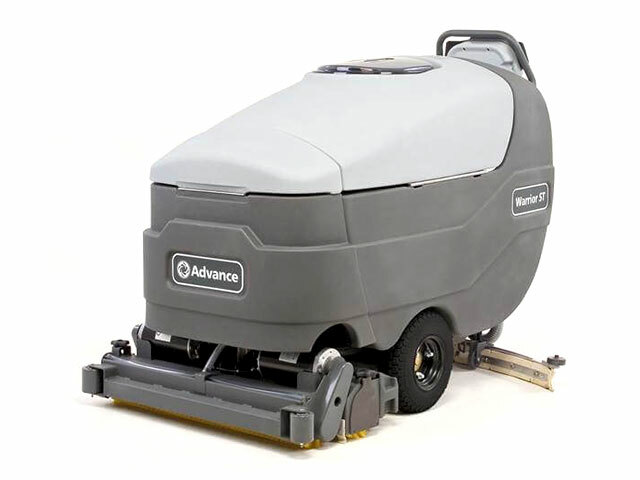 When you want to improve your company’s cleaning productivity, check out the Advance Warrior. 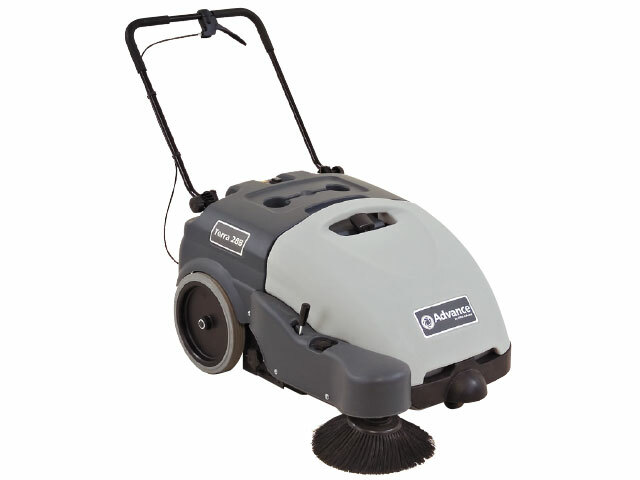 This easy to use and maintain industrial floor scrubber cleans floors right the first time! 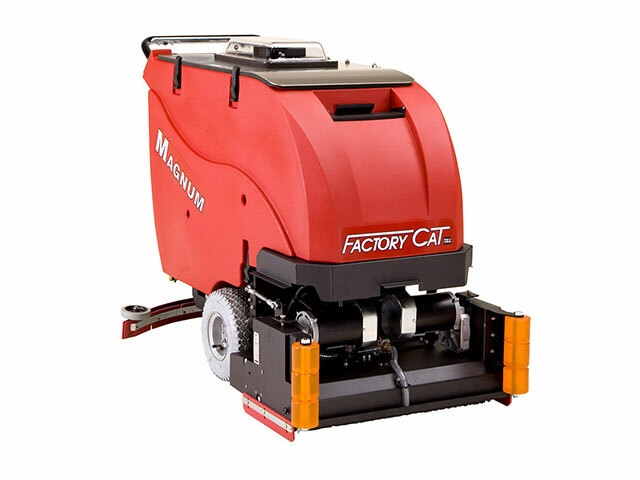 Take a look at the FactoryCat 34 if your need is for a compact, robust walk behind sweeper. The side broom gets into corners, sweeps debris under the machine, and then that debris goes right into the hopper. The FactoryCat Magnum is known for its durability, and the cylindrical brush option allows operators to sweep while scrubbing, which saves time and increases productivity. 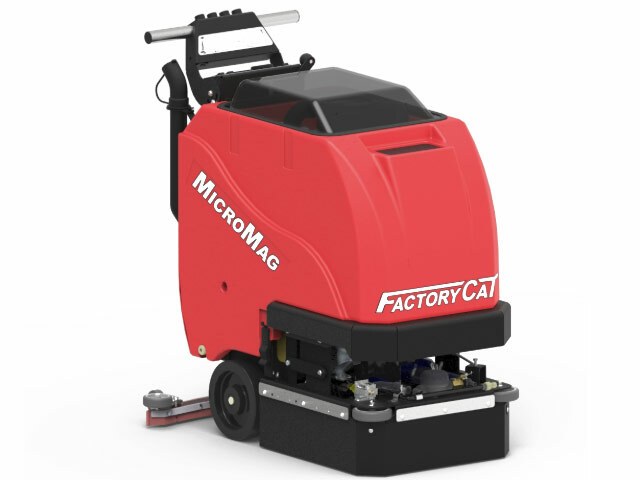 The FactoryCat MicroMag is smaller than the Magnum and the MiniMag however; it still provides high performance, efficiency, and improves productivity, all in a compact design. The MiniMag is a smaller version of Factory Cat's Magnum. 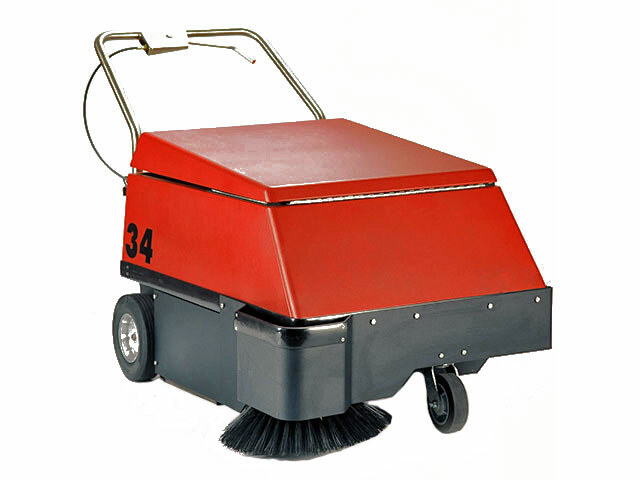 It’s a walk in the park with this walk behind scrubber that’s ideal for tight spaces that may be difficult to maneuver in.